Opening Times at Fullbrooks Bistro, good food with an excellent ambience. We do not open on Mondays. We do not open Sunday Evening and Mondays. Advanced bookings are highly recommended. Thank you. You can hire Fullbrook's Bistro for a private function, just tell us what you would like and we would be happy to arrange it. For the special times when just dinning out wont quite say it. It would be a pleasure to assist you in making that very special birthday or anniversary something exceptional to remember for you and your loved ones. Looking for a venue that you can host a business dinner or event with a difference. We at Fullbrook's understand that when you need to impress your clients and associates, it takes a lot of effort to get it right. 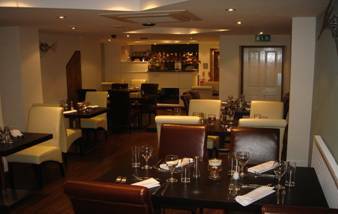 You can rely on us to make your business successful through excellent hospitality. Call us on 01443 237344 or drop us an email at goodfood@fullbrooksbistro.com and we will do our very best to accommodate your needs.